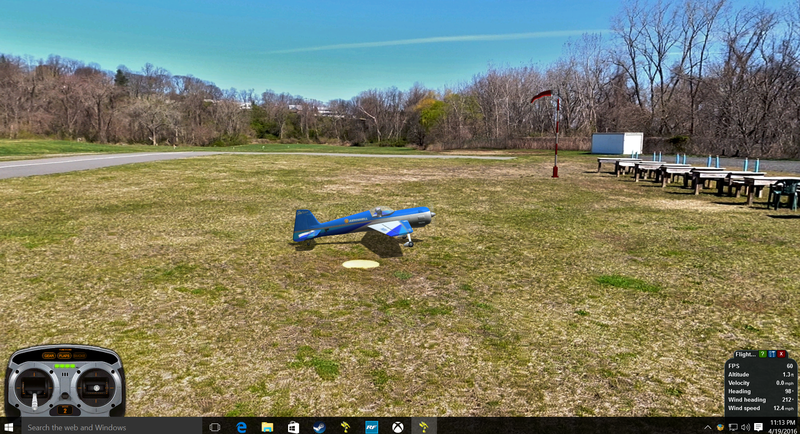 This is a follow-up to the custom airfields I made for RealFlight. 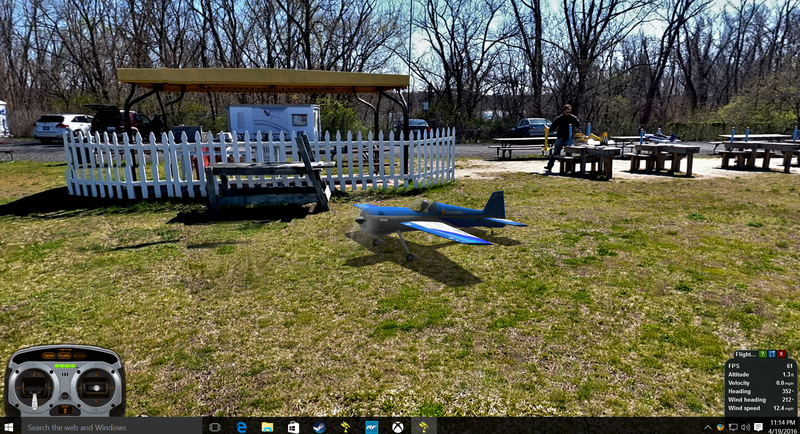 This time I modeled the HHAMS (Hempstead Harbor Aero Modelers Society) Aerodrome on Long Island for Phoenix RC. One of the flying sites has been accepted by Phoenix RC as an official flying site. You can simply download it from the simulator itself, or you can manually download it at this page. See the end of this article for more information. Manual download Instructions: Each photofield comes in a ZIP file. Just click on it in your browser, and save this zip file. Then unzip it and you’ll find a .PKG file. Launch Phoenix RC, but do not click on the button that starts the simulator. Instead, click on “Advanced”, and then choose “Install an update” to pop up a file chooser dialog. Find the .PKG file and install that. 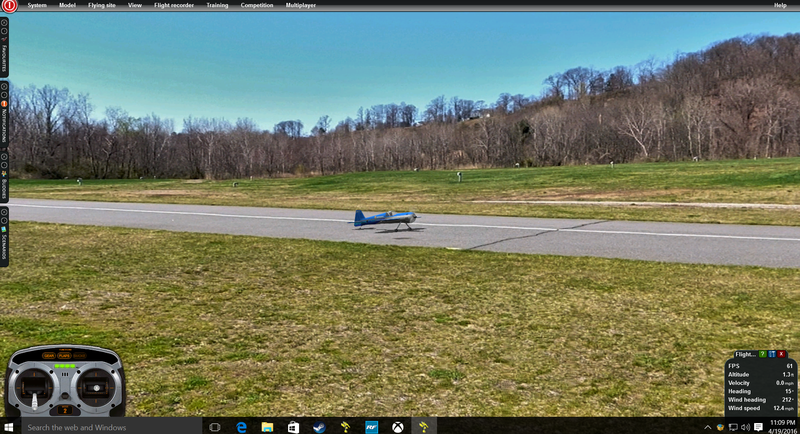 Once this is done, you will find the custom flying site in the airfield chooser in the simulator. If you have trouble installing the file, please see the end of this article for detailed screenshots. 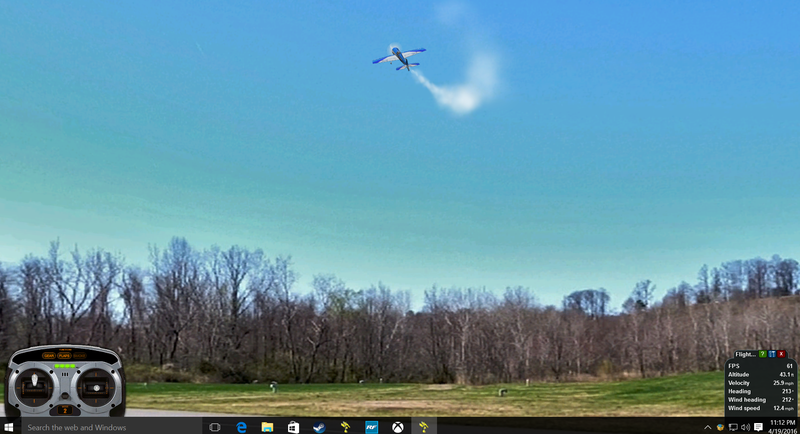 Here is a video capture using Windows 10’s built-in Game Bar (Xbox Game DVR). As mentioned before, one of the flying sites has been accepted by Phoenix RC as an official flying site. You can simply download this one from the simulator itself via menu System | Check for Updates, or you can manually download it at this page. As this article is expanded in the future, it will include more flying sites. Not all of them will be submitted to Phoenix RC. 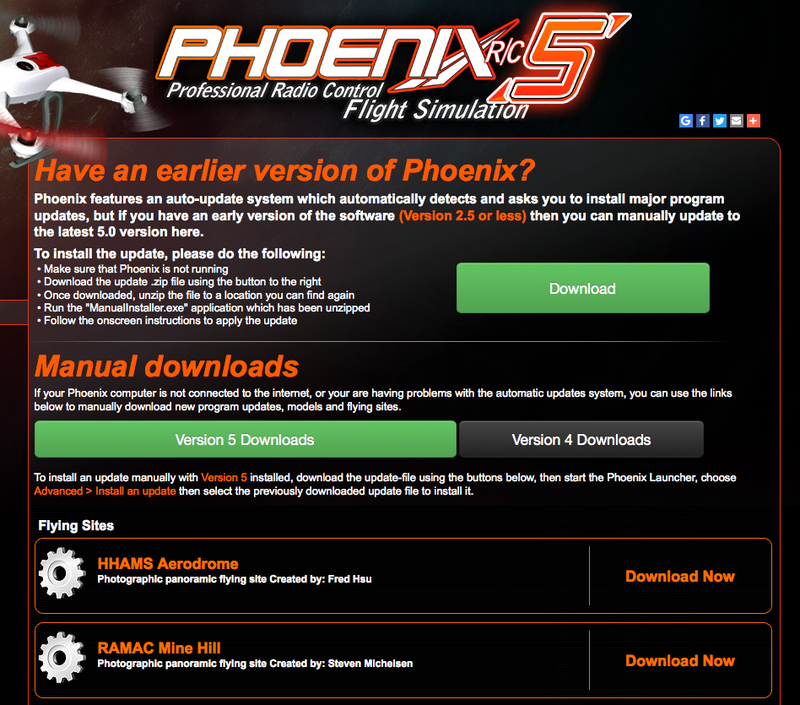 So you will have to manually download some of these in the future, outside of the official Phoenix RC download page. Just click on it in your browser, and save this zip file. Then unzip it and you’ll find a .PKG file. Launch Phoenix RC, but do not click on the button that starts the simulator. Instead, click on “Advanced >>”, and then choose “Install an update” to pop up a file chooser dialog. Find the .PKG file and install that. 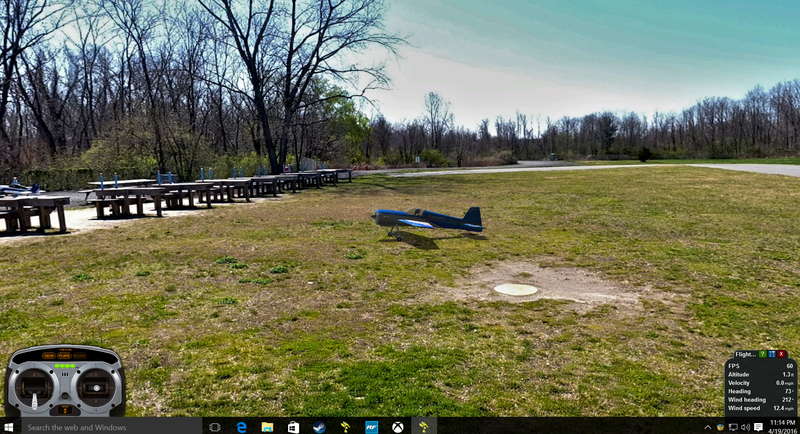 Once this is done, you will find the custom flying site in the airfield chooser in the simulator. This entry was posted in Fun, HHAMS and tagged Aerodrome, Airports, Equirectangular panorama, Hempstead Harbor Aero Modelers Society, HHAMS, Phoenix RC, Photofields, Port Washington, Simulator. Bookmark the permalink.